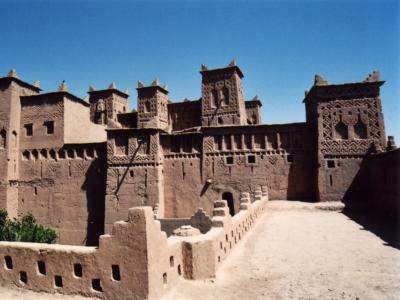 Ouarzazate, located in the southern central part of Morocco, is nicknamed the door to the desert. 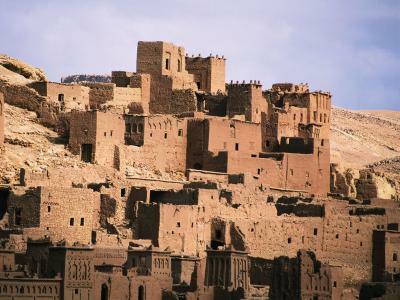 This city is situated high at an elevation of 3,800 ft. south of the Atlas Mountains. The desert is not too far south of here. 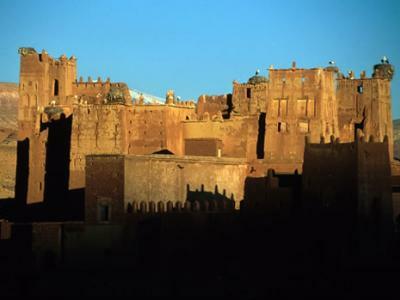 Ouarzazate is known for its many kasbahs, which were constructed by the local Berbers, who are the main inhabitants of this city. 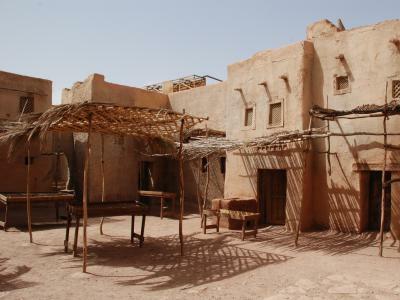 Holidays are important in this city, as it is a base for excursions across the Draa Valley and into the mystical desert. These include trips to Zagora and camel trains to Timbuktu, a 52 day journey which no longer operates today because the border to Algeria is closed.